The Trondheim Soloists is nominated for Best Small Ensemble Performance. In the category Best Surround Sound Album Morten Lindberg is nominert as producer and engineer for the same album. The Norwegian label 2L now count a total of 9 nominations past five years. The 53rd Annual GRAMMY Awards will be held on February 13th, 2011, at Staples Center in Los Angeles and once again will be broadcast live in high definition TV and 5.1 surround sound on CBS. 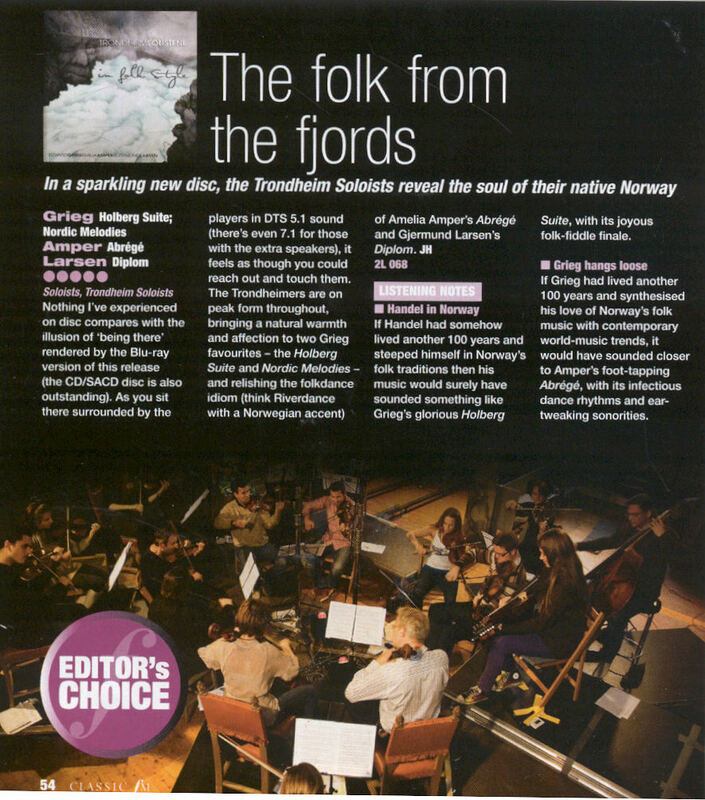 TRONDHEIMSOLISTENE – in folk style: In Nordic Melodies we find Grieg in passionate play with folk songs. The work sparkles with harmonies and expression, developing a whole story from just a few short stanzas. The Holberg Suite, loved for its beauty and feared for its challenges, is a fusion of European musical tradition and a genuine Norwegian sound palette. The Trondheim Soloists follow up with two brilliant soloists, Emilia Amper on nyckelharpa and Gjermund Larsen on fiddle, in newly commissioned music characterized by the same energy and tenderness. Wild nature and Nordic light are essential elements of the folk style. This lies at the core of the Trondheim Soloist's soul, a meeting between the musical playfulness and passion. Conductor: Øyvind Gimse. 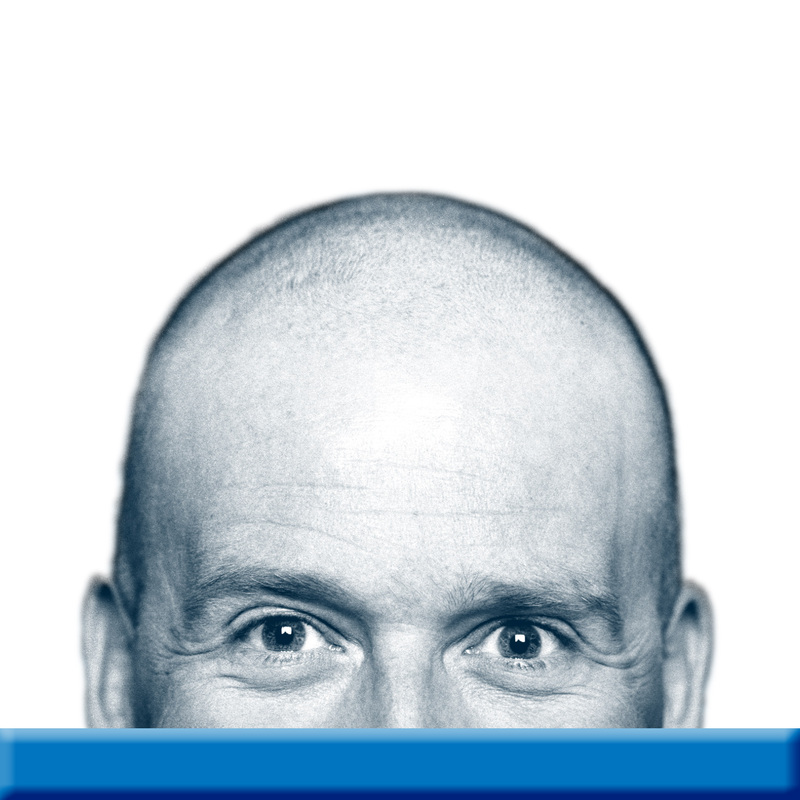 Ensemble leader: Geir Inge Lotsberg. 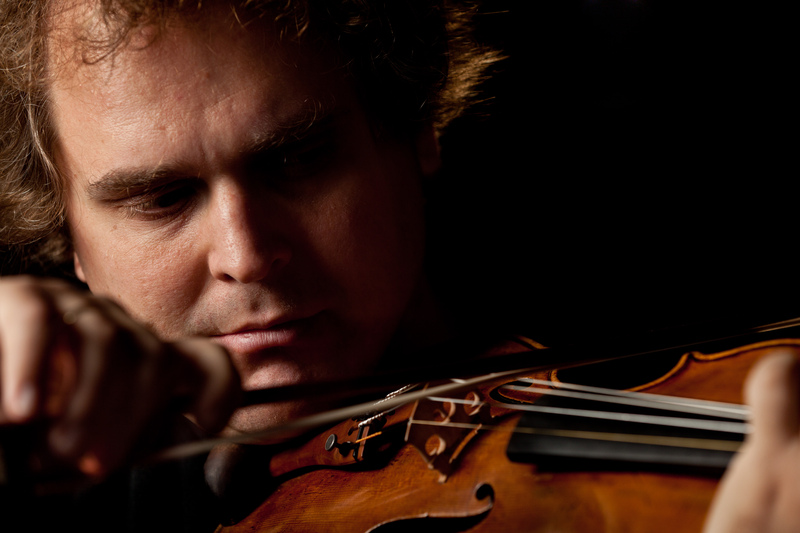 The Trondheim Soloists is regarded one of the top chamber orchestras in the world. Their DIVERTIMENTI was nominated for the 51st GRAMMY Awards as "Best Small Ensemble", "Best Engineered Album" and "Best Surround Sound Album" in 2008. 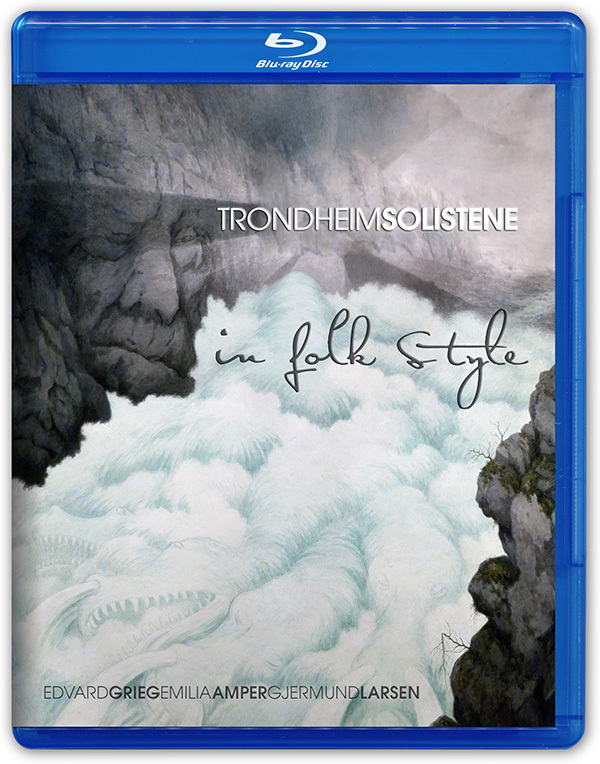 Now IN FOLK STYLE sets a new standard for the performance of Edvard Grieg's "Suite From Holberg's Time" with the intense musical details revealed in this most spectacular surround sound recording ever made. HARMONICA AND ORGAN - AN UNUSUAL DUO. The world's smallest and the world's largest musical instrument; "David and Goliath" together in stunning baroque pieces and Norwegian folk music! Sigmund Groven and Iver Kleive have collaborated for more than 30 years and have built a repertoire consisting mainly of baroque pieces and Norwegian music, most of which they have composed and arranged themselves. Even though they have chosen very different instruments, and are also quite different personalities in many ways, they have a fundamental musical rapport and understanding and also have many other things in common. They both originate from musical families; born and raised in Telemark, a region of Norway rich in folk-music, they have always had an open mind and taken keen interest in various contemporary and popular musical styles and idioms. They left Norway to study, and their mentors were the best possible role models: In Munich Iver came under the guidance of organist Franz Lehrndorfer and legendary choir­master, conductor, and organist Karl Richter, whereas Sigmund had the great fortune to study in England with his boyhood idol, the equally legendary Tommy Reilly, one of the great pioneers of serious harmonica-playing. 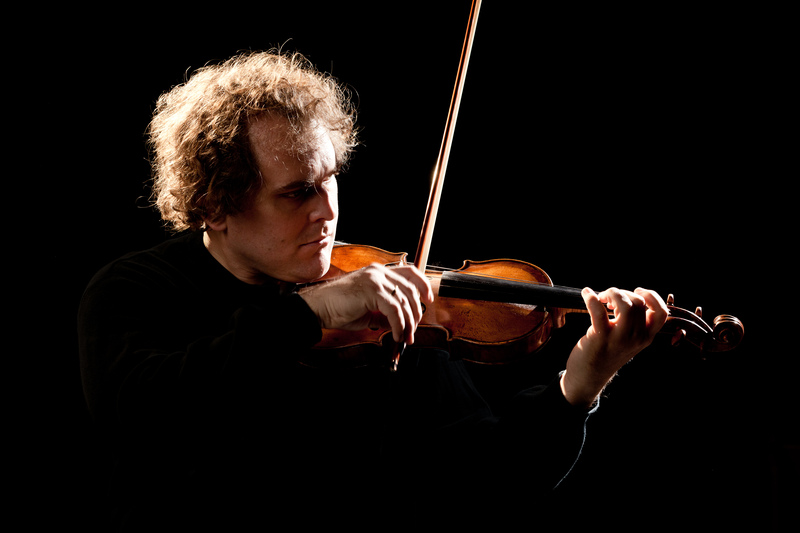 Annar Follesø studied at Barratt Due Musikkinstitutt in Oslo and at Indiana University in Bloomington, USA. 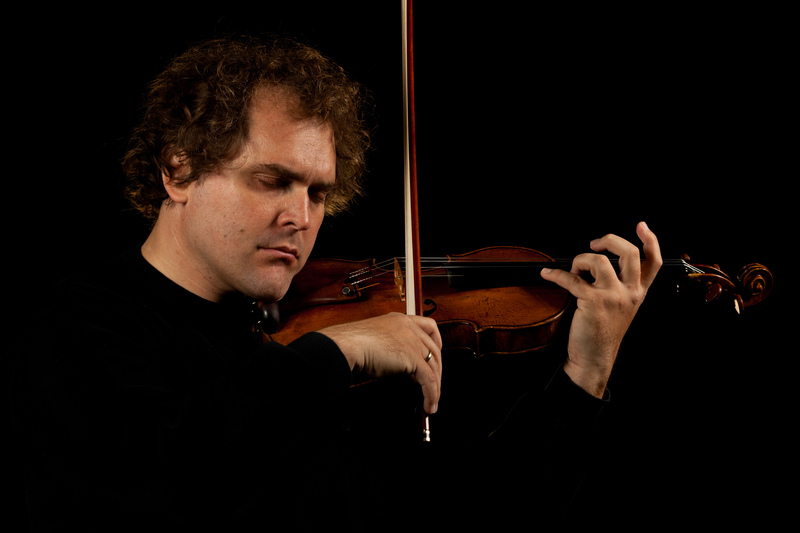 In addition to his violin studies with Mauricio Fuks in Bloomington, he studied baroque violin with Stanley Ritchie and chamber music with György Sebök and Leonard Hokanson, among others. 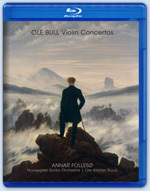 Follesø has recorded three CDs for the record label 2L, the most recent being world premiere recordings of the violin concertos by "the Scandinavian Paganini", Ole Bull (1810-1880). A collaboration with the Norwegian Radio Orchestra conducted by Ole Kristian Ruud, this CD was released in March 2010. The release has received superb reviews, and the Grieg Society of Great Britain has conferred on the recording its "Record of the Year" award. The disc has been widely broadcast, and in September 2010 the entire CD was aired by BBC 3 as part of their five-programme traversal of Ole Bull and his times. The Yehudi Menuhin Competition, held in Oslo in April 2010, purchased the CD as a gift to its participants, jury and guests. The Norwegian Ministry of Foreign Affairs has purchased a large volume of the disc for distribution to all of its foreign stations. Follesø has in this anniversary year championed Ole Bull extensively on the concert stage, and delighted audiences in cities like London, Bergen, Oslo, Stockholm and Lviv with this virtuosic and beautiful music. In 2005 Follesø released a CD in collaboration with pianist Christian Ihle Hadland and clarinetist Björn Nyman. This record, comprised of works by Bartók, was received with equal enthusiasm as the Bull release. John Marks in Stereophile named it "…one of the most attractive Bartók releases I have come across in years". Elaine Fine, American Record Guide: "This is a wonderful recording. All the playing is superb." 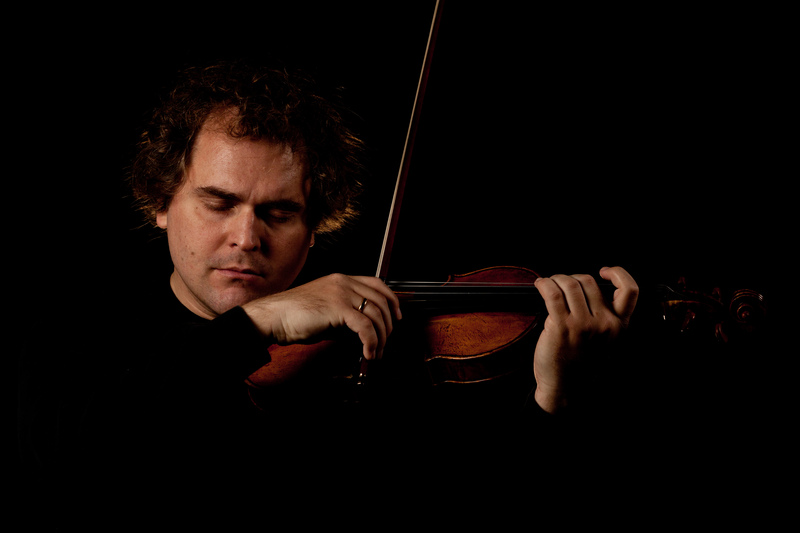 Annar Follesø has toured and given concerts in the USA, People's Republic of China, Russia, France, Austria and South Korea, among others. 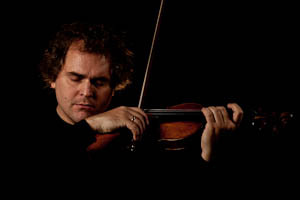 He has worked with conductors such as Andris Nelsons, Eivind Gullberg Jensen and Ole Kristian Ruud. 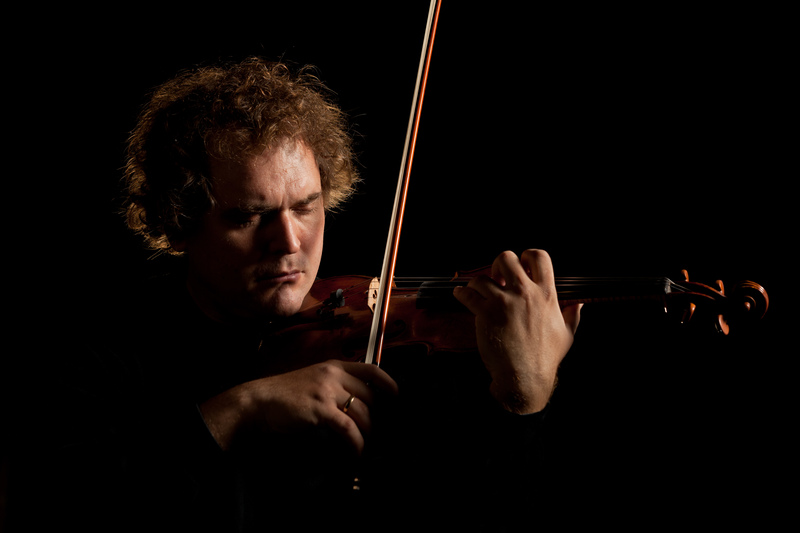 In 1998 Follesø became the first Norwegian violin soloist to perform at the Salzburg Festival, after being awarded the violin prize at the International Summer Academy for his interpretation of the Bartók solo sonata. Together with Wolfgang Plagge he is artistic director of the Sunnmøre Chamber Music Festival. 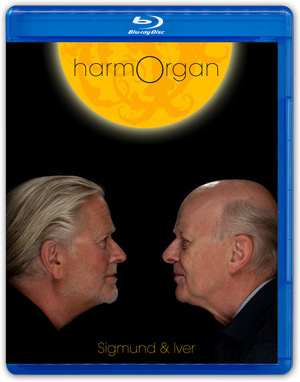 Definition: "2L once again dive into their Norwegian heritage to deliver the world a dazzling disc full of marvelously recorded and beautiful music. If you are unfamiliar with the musical landscape of Ole Bull, then the superb play of the Norwegian Radio Orchestra under Ole Krisitan Ruud with Annar Follesø’s violin will be a perfect guide. This is a highly recommended recording." 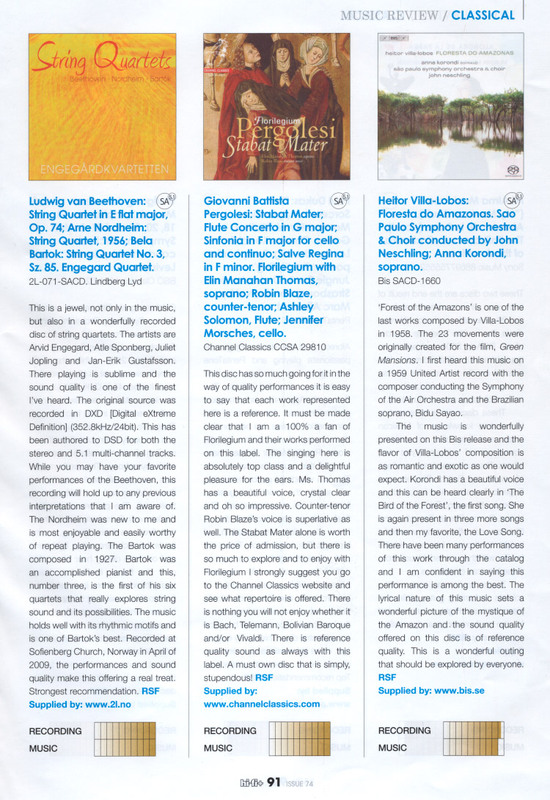 BBC Music Magazine: "Annar Follesø does a sterling job of bringing these works vibrantly to life, with barely a blemish in his beautiful bel canto tone despite the numerous leaps into the stratosphere. The Norwegian Radio Orchestra gives excellent support under Ole Kristian Ruud." AWARDS: Record of the Year by The Grieg Society of Great Britain. 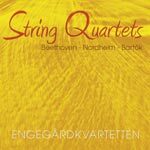 HiFi+: "This is a jewel, not only in the music, but also in a wonderfully recorded disc of string quartets. The playing is sublime and the sound quality is one of the finest i've heard"
The Strad: "Breathtaking: vigerous, tender, nostalgic and beautiful"
BBC Music Magazine: "As with their stunning Divertimento disc, the Trondheim Soloists possess great energy and a full-blooded sound, though there is no lack of poetry or beauty. Unless you have a pathological aversion to modern folk music, then this is infectious."